What is the Learning Site? The Learning Site is a website that contains all the digital resources and products you purchase from Wayside Publishing. To access your purchased products and resources, you must create an account and sign in. Explorer is the audio, video, and online activities and resources that go along with each textbook. Once purchased, Explorer courses can be created and accessed on the Learning Site. FlexText® is Wayside Publishing's digital textbook product. Most paper textbooks are available as FlexText® titles. Page by page, FlexText® is exactly like the printed book, except digital. FlexText® purchases can be activated and accessed on the Learning Site. What is the language portfolio? The language portfolio allows students to track their progress and growth as they advance through their classes. Students self-assess via can-do statements and provide evidence that may include completed activities, recordings, and essays. Can-do statements are accessible as the student moves from level to level. Not all textbook programs include the language portfolio. How do I request a sample textbook? You can easily request a digital sample of most textbooks. Start here by reviewing the instructions. Then visit the web page for the title you want to sample, click the Request Sample button, and sign up for a Learning Site account. All samples can be viewed on the Learning Site for 30 days. Why do I need a code to create a course? To improve the security of your teacher account and to provide you with additional digital materials, teachers now need a code to set up their first course (additional courses for the subscription year do not require additional codes). If you do not have a teacher digital package code or FlexText® code, contact your school’s technical support person or district administrator. How do I transfer students between my courses? You can follow the directions below to move students between your courses. Go to the Course that your student is in. Click the transfer student icon. 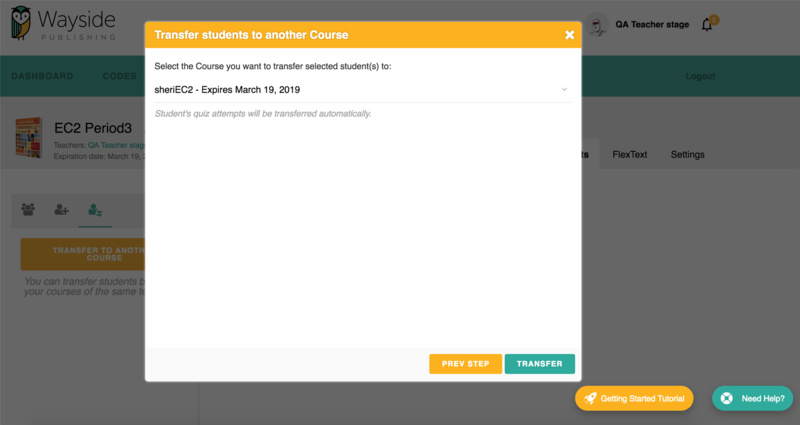 Click Transfer to Another Course. Check the box next to the student(s) you wish to transfer and click Next Step. Select the desired course from the drop down and click Transfer. If your student needs to transfer to another teacher’s Explorer course, then please contact support. How do I unlock batch keys and assign codes? Please read this guide on how to use codes. How do my students view their assignments? 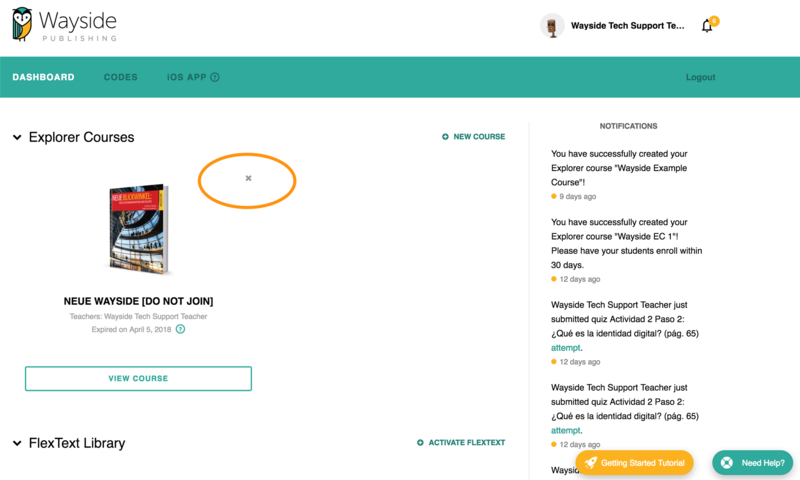 Students can view all of their assignments in the Assignments tab after navigating to the course in which they are enrolled. New assignments will appear in the notifications area, which is to the right of the Dashboard. How do I access Explorer content (audios, videos, documents, etc.)? Once you have a course set up, go to your Dashboard. Select your course by clicking the View Course button, or the image of the book. Make sure you are in the Content tab. You will see the content on the left arranged by sections in the book. Click through the sections to find activities relevant in that section. Why can’t I see my course? If you created a course and cannot see it, try refreshing the page. If you haven’t created a course yet, check out our getting started guide. How do students enroll in an Explorer course? There are several ways to enroll students. Larger schools or districts may benefit from one of our rostering solutions. To see how to register smaller groups of students and teachers, view our getting started guide to learn more. Teachers cannot delete an active course. To do so, please contact support. If a course is expired, you will see a gray X next to the course. Click the X to remove the course. Where do I find grades? Navigate to your course and click the Grades tab. 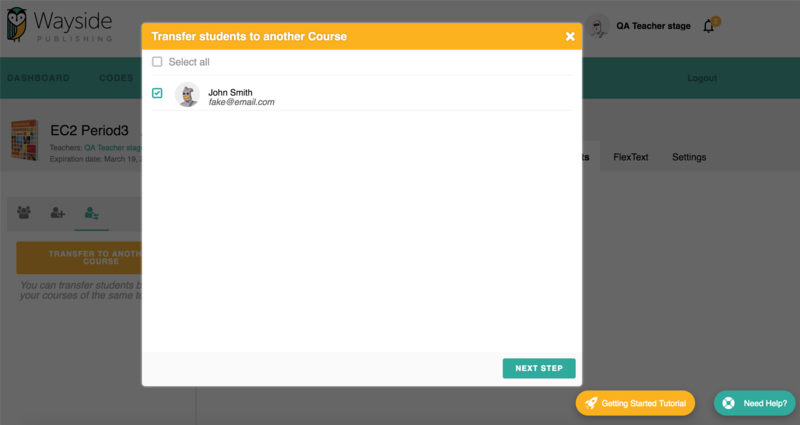 This will bring up a list of all students within your course. Clicking on any of your students will display the quizzes they have attempted. Navigate to the specific activity you are looking to review and click on the Grades button. This will bring up a list of all students who have taken this specific quiz. Clicking on a student will display the attempt information. How do I access students’ grades? There are ways to view grades: by student or by activity. Follow the instructions below to understand both methods. Click on your Grades tab. Select a student to see all the activities that they have attempted. Click on an activity to see all of the attempts for that activity. Click on your Assignments tab. Click the Grades button on the next screen. Here you will see the students in your course. You can tell who has or has not attempted the quiz. Select a student to see their attempts at this activity. How do I change students’ grade and provide feedback? Please follow the steps in How do I access students’ grades? to navigate to students’ quiz attempts. Once at a student’s quiz attempt, click on any of the questions in that quiz. Here you will see the student’s answers and the correct answers for questions, such as multiple choice or fill in the blank. To leave feedback and a new grade, fill in the Comment and Grade fields. Click on the Add Assignment button. Drag or double-click activities to select them. How do I tell if my students have completed an assignment? Go to the Assignments tab of your course. Click on the green text under the Completed/Assigned column. A window will appear indicating if students have attempted or view activities. Students will have a status of Not submitted, Submitted, or Submitted late. Students will have a status of Viewed or Not viewed. Click on your name or profile picture at the top of the page to get to your profile. On your profile page simply enter your old password, the password you wish to change it to, and click Save. While on the log in page click on Log In and then on Forgot your password? Enter the email address associated with your account and then check your email for instructions on resetting your password. Not receiving email from Wayside? Check here. Why am I not receiving email from Wayside? Check your spam folder to see if any emails were marked as spam. If you’re using a school email, your school’s email setup may be blocking emails from the Learning Site. Contact your school IT department about Whitelisting the domain “waysidepublishing.com”. How do I enroll students who don’t have access to an email address? Having an email address is a requirement for signing up for the Learning Site. If your students do not have their own email address, we recommend they use a parent’s email address. While Wayside Publishing can help you activate an account if you are experiencing issues, we cannot create Learning Site accounts for users. Please contact support@waysidepublishing.com if this is a concern. What do I do if I don’t have an access code or batch key? If you do not have a code or key, your school or district may be using a rostering software such as OneRoster or Clever’s Secure Sync, which means your courses will be set up and students will be enrolled automatically. Contact your school or district’s IT department for information. Does Wayside support single sign on, OneRoster, or Clever Secure Sync? Wayside does support integrations with rostering and single sign on software. Please email customer service to inquire about one of these integrations. My school uses a single sign on, OneRoster, or Clever Secure Sync. Who should I contact for support? Please contact your school’s IT department with any questions regarding getting onto the Learning Site or finding your course. Click on the Need help? button and select Feedback. Enter your information and click Send. Send your question to our Learning Site support team. Wayside Publishing. All rights reserved.